We’ve been creating a Raspberry Pi retro gaming machine using RetroPie. In Part 1 we looked at what we needed and where to get it and in Part 2 we installed it and got it up and running. In Part 3 we’re looking at getting all our old favourite games onto our new retro games machine. We’ve been playing Doom Shareware, Quake and Super Mario War from the built in free games that come with RetroPie. Configuration of our Logitech F510 game-pad was a breeze and all the games played well just like they did back in the day. We’re very pleased. Now we want to get hold of some of our old favorite games and get them up and running on RetroPie, that’s not too much to ask is it? Unfortunately this opens up a whole can of copyright and legality worms. We scoured the net for hours reading all we could on this and can tell you that the vague conclusion we’ve come to is that technically, in most cases, it is probably not completely legal. To be fair you can see why, take for example the recent news of the Mini NES. If you already had most of the games it comes with loaded on your Raspberry RetroPie then you might decide shelling out on a Mini NES is not worth your hard earned cash. In some cases the software houses in question may have ceased to exist and so common sense would tell you that there is no issue using ROMs from these developers. Probably, but again it’s a very grey area, for a start you’d have to make sure no-one else had bought-out the rights to the old publisher’s games. And then there’s the scenario where you actually own the physical game, surely you can freely download and use the ROM version of a game if you actually own it. Morally this feels right but unfortunately this is also a massive grey area and again there’s no clear answer. To sum up, we just don’t know and so for the sake of this article we’re playing it safe and using a public domain ROM “Revenge of the Mutant Camels” from Llamasoft for the C64. To follow what we’re doing here you can download “Revenge of the Mutant Camels” here. The ROM comes zipped up so unzip it and you should end up with a file called ‘AMC’, rename this to ‘AMC.tap’ and remember where it’s saved. To get the ROM over to our RetroPie the method we’re using is SFTP. There are alternatives including using a USB stick, see the RetroPie Wiki for more information on this. 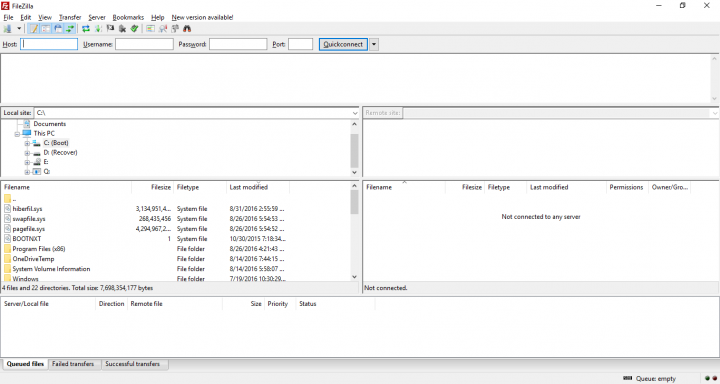 To use SFTP you’re going to need an SFTP client program, there are many available but we have gone for the very capable FileZilla that is available as a free download from here. Download and install FileZilla on a computer on the same network as your Raspberry Pi. 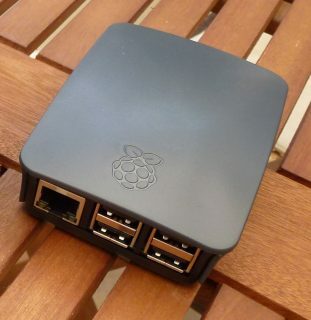 You now need to get the IP address of your Raspberry Pi on the network, this is very easy to do. In the RetroPie main menu (that appears in the horizontal scrolling list of available emulation platforms), select the last option “SHOW IP ADDRESS”, this will display the IP address of your Raspberry Pi, the IP address consists of 4 numbers separated by points. Fill in the details as shown in the above image but use your IP address rather than the one shown above. The password is ‘raspberry’. Then click connect. Once connected the left-hand navigation window in FileZilla is the file system of your computer the right-hand navigation window represents the file system of your RetroPie. In the left hand navigation window locate the ROM you want to transfer, in our case this is ‘Attack of the Mutant Camels’ for the C64 that we downloaded earlier. Now you can drag and drop the ROM file AMC.tap from the left hand navigation window to the right hand navigation window. This will transfer the file from your computer to the RetroPie. Finally restart RetroPie and the Commodore 64 menu should now be available for selection and when selected you should see the entry AMC ready to play. 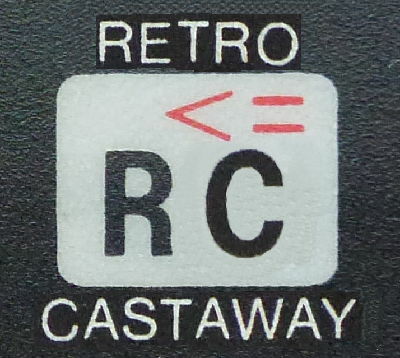 We’re going to be looking at taking screenshots and recording game-play videos in the next installment of our RetroPie series of articles, until then enjoy AMC and if you have any thoughts on the legality of ROMs please let us know.